For the last couple of months I’ve been making low carb celeriac fries semi-regularly. They go really well with pretty much any dish that you’d serve fries with. But I wanted to try some of the alternatives to celeriac – apart from anything else not all shops stock celeriac. So how about parsnip fries? It turns out that parsnip fries are a good substitute to celeriac (as is turnip, though I haven’t tried that yet!). 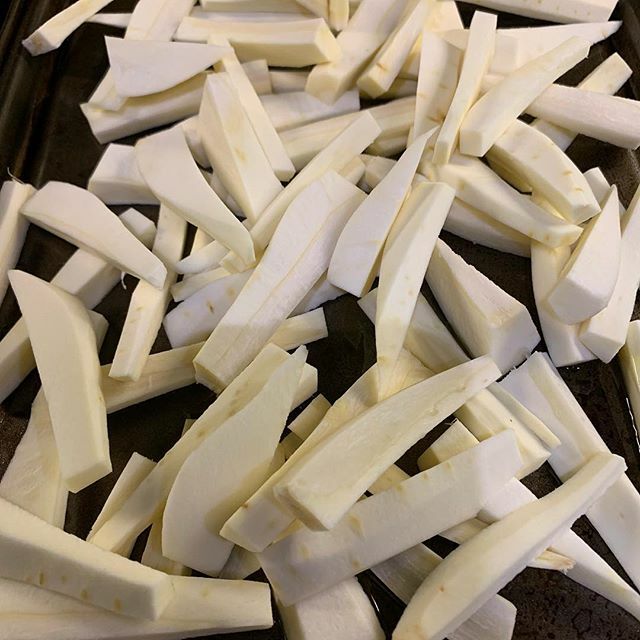 I made my first batch of parsnip fries last night. I won’t bore you with the details, but it’s essentially the same process as with the celeriac fries. The only real difference being that the physical shape of parsnip is quite different, so you need to peel them, top and tail them and then slice them up. 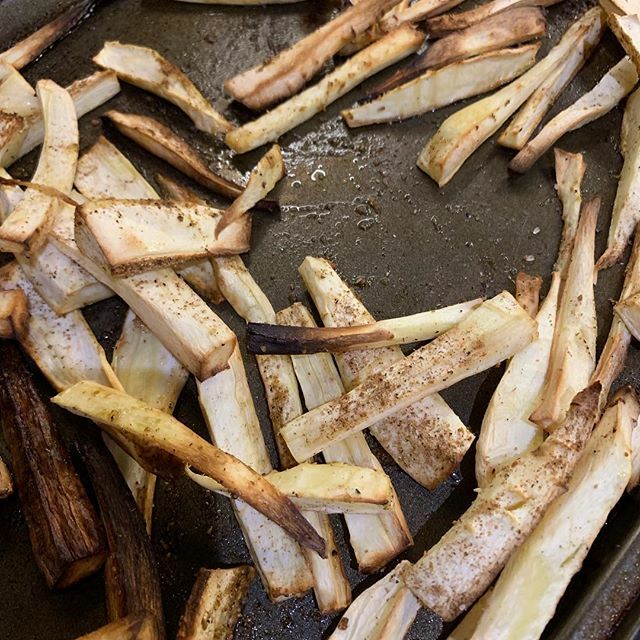 I used similar seasoning as I would with the celeriac fries and baked them in the oven for about 25 minutes. You’ll need to be careful as some of the smaller chunks can end up getting burnt, which isn’t exactly tasty! The end result was pretty damn good, so it’s definitely something I can try again in the future. As you can see from the photo above some of the fries ended up a bit burnt, but overall it worked out pretty well. I served the fries with some nice low carb pork schnitzels and it was all very tasty!